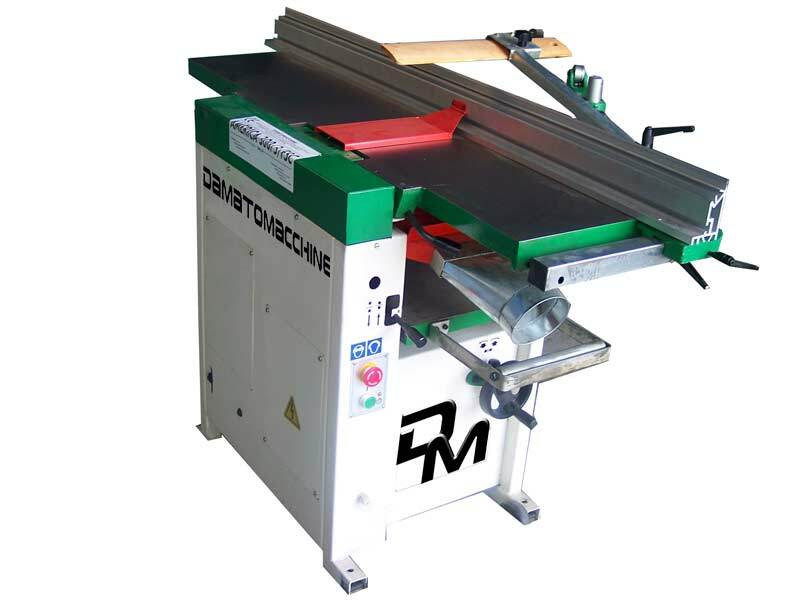 It’s a woodworking machine with surface and thicknesser planer. 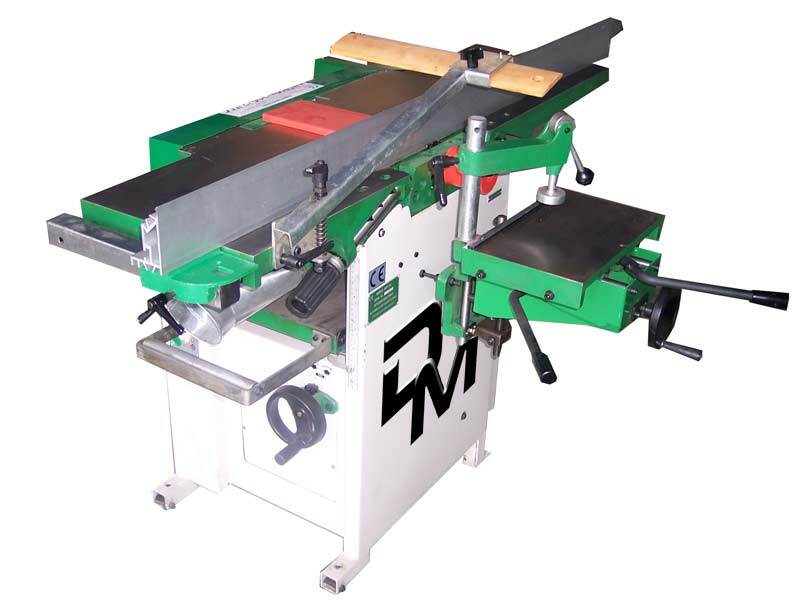 It has cast iron table and mortiser integrated on spindle planer. The machine is equipped with a powerful single phase motor with 3 CV (2200 W) and with extremely robust and precise cast iron tilt table. Optionally you can request the three-phase motor. 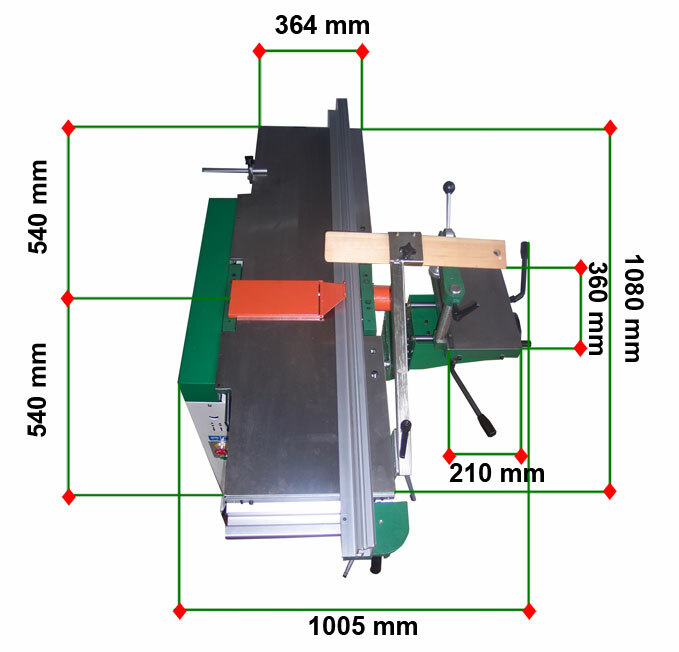 The planer spindle of the machine is 310 mm long and has 3 knives. In standard configuration the machine is already with 3 mounted planer knives, extraction hood to fit dust extractor and aligner for knives. Optionally at modest prices you can also order the dust collector and the sharpening knives and mortising bits, which must be mounted on the plane of mortiser.